Ubiquiti NanoBeam NBE-M5-19 400mW 802.11a/n 19dBi Antenna. 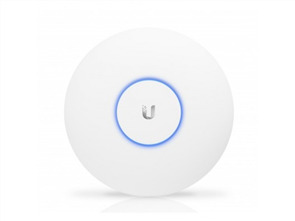 The NBE-M5-19 5 GHz 19dBi High-Performance airMAX Bridge from Ubiquiti Networks directs RF energy in a tighter beamwidth. NanoBeam maximizes noise immunity by its uniform bandwidth. With focus in one direction, the NanoBeam blocks or spatially filters out noise, so noise immunity is improved. This feature is important in an area crowded with other RF signals of the same or similar frequency. The NBE-M5-19 combines the radio and antenna in an efficient and compact unit that gets maximum gain out of the smallest footprint. It features an innovative mechanical design and high speed processor for optimal performance at low cost. Ubiquiti's Time Division Multiple Access (TDMA) airMAX protocol allows each client to send and receive data using pre-designated time slots scheduled by an intelligent AP controller. This "time slot" method eliminates hidden node collisions and maximizes airtime efficiency. It provides significant performance improvements in latency, throughput, and scalability compared to all other outdoor systems in its class. 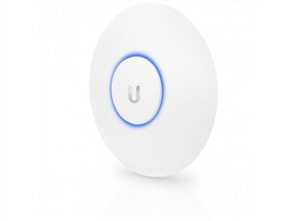 airOS is a versatile, highly developed Ubiquiti firmware technology. It is an intuitive technology, designed to require no training to operate. Behind the user interface is a powerful firmware architecture, which enables high-performance, outdoor multi-point networking. NanoBeam uses airOS which provides additional advantages, including protocol support, Ubiquiti channelization, spectral width adjustment, ACK auto-timing, AAP technology, and multi-language support. airControl is a powerful and intuitive web-based server network management application, which allows operators to centrally manage entire networks of Ubiquiti devices. It features network map, monitor device status, mass firmware upgrade, Web UI access, management of groups of devices, and task scheduling. The NanoBeam provides both the radio and antenna in the smallest possible footprint. No fasteners are required for pole-mounting, and a single wall fastener (not included) is required for wall-mounting. The NanoBeam pivots on its ball joint for easy aiming. The radio and antenna are combined into a single body that takes up minimal space. The NanoBeam can be mounted in almost any position needed for line of sight. The NanoBeam is small enough to blend discreetly into the background at a customer's location.